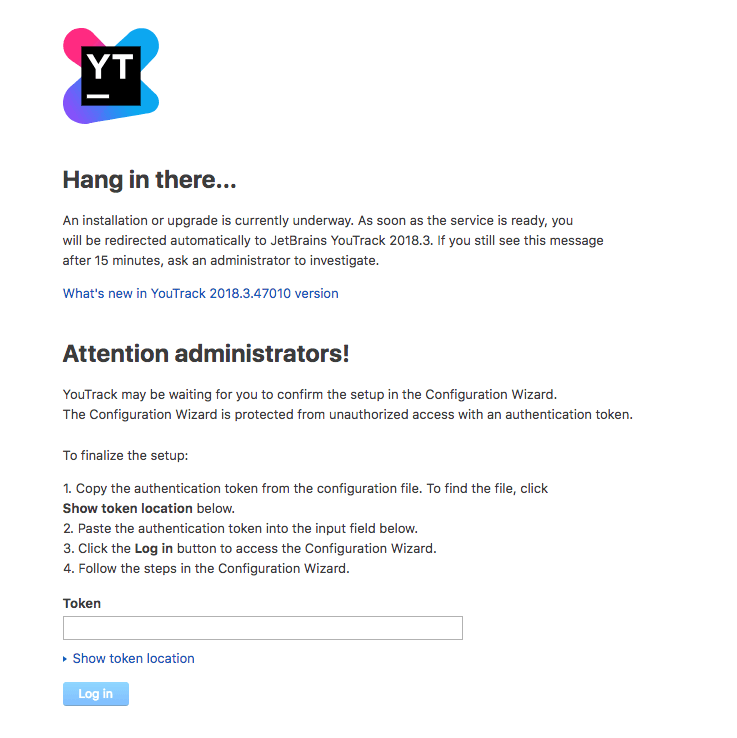 IMPORTANT: You will need to connect through SSH to your YouTrack instance for accessing to the wizard_token.txt file on cloud images. Paste the authentication token and click the “Log in” button. Click on the “Set up” option. 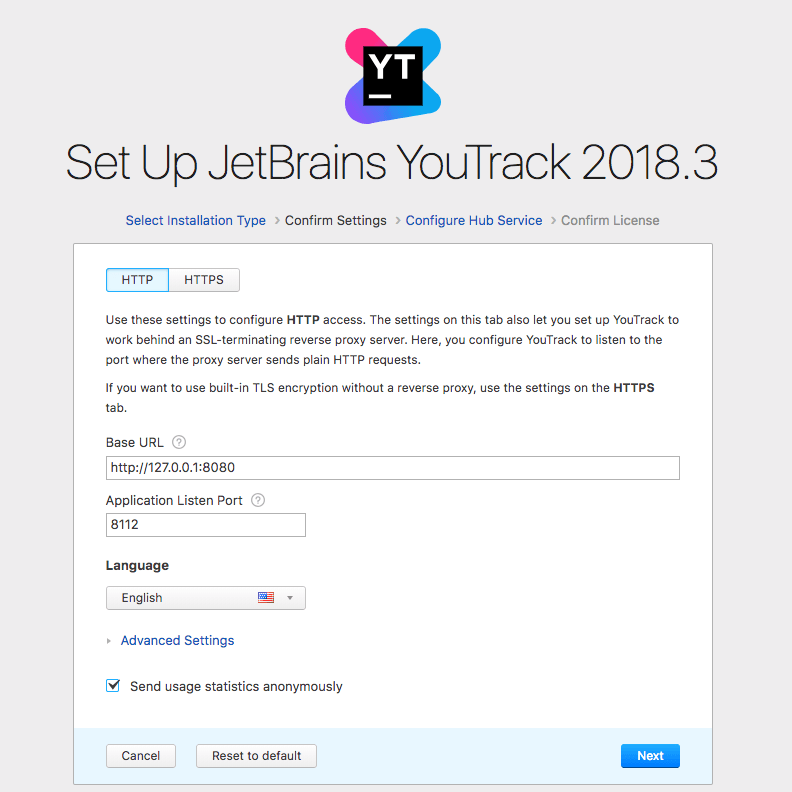 Configure the “Base URL” field for your YouTrack site. This will be used to create internal URLs. 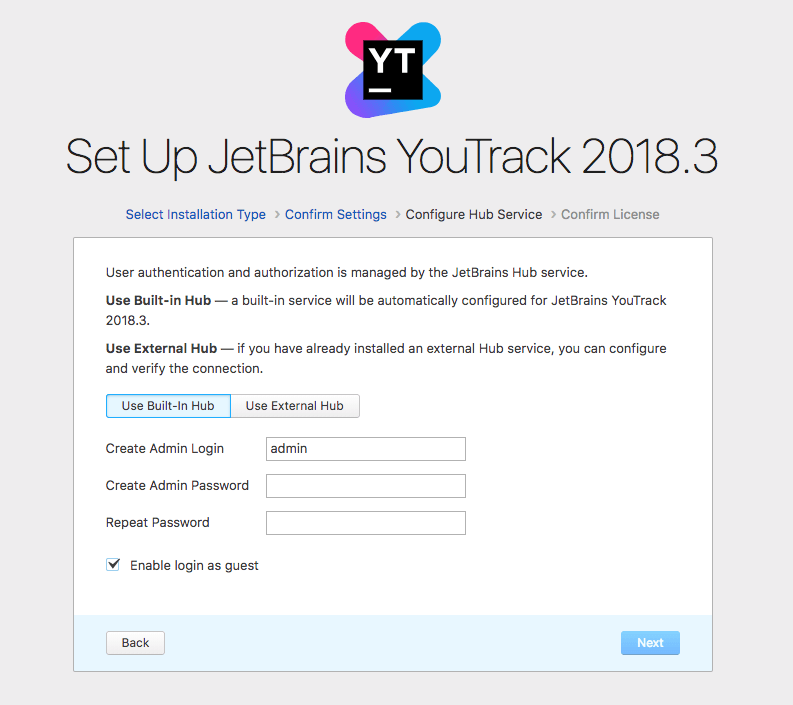 If this value is incorrect, you may be unable to access your YouTrack installation from other computers. By default, the “Application Listen Port” is 8112 unless you selected a different one during the installation process. Click on the “Next” button when finished. Create an user login with administration privileges. You can select a different username and your own password. Click on the “Next” button when finished. 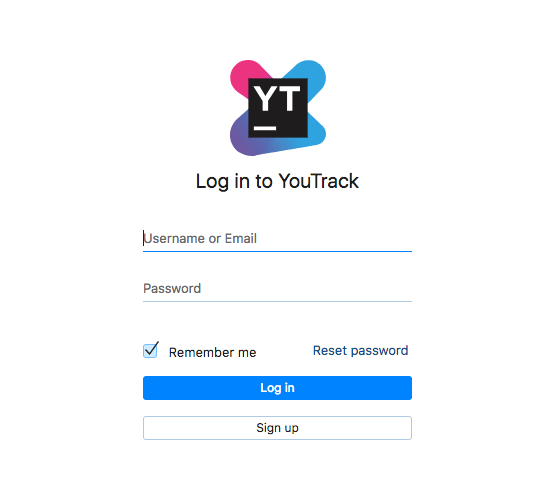 Read and accept the free trial license key for YouTrack by clicking the “Finish” button. You can find more information about it at the License information section. 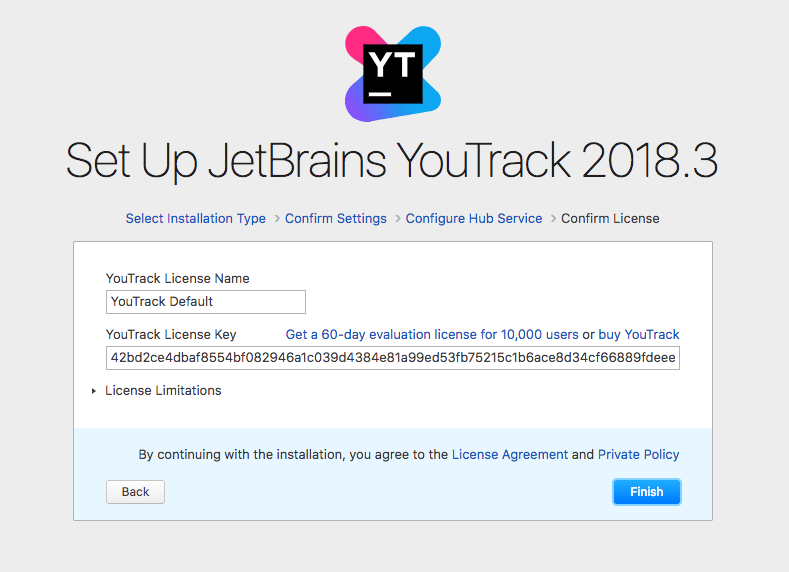 Once the license key is accepted, YouTrack will start the setup process and will show the login screen after that. NOTE: The setup process may take a few minutes.